This is it. Gambero Rosso has released their indispensible Vini d’Italia (Italian Wines) guidebook for 2011. If you’re a serious fan of vino Italiano, you’ll want to add this to your library (see below for how to find the guidebook). Each Fall the tasting crew at Gambero Rosso releases this 500+ page collection of concise Italian wine recommendations, highlighting the best from over 20,000 Italian wines with their famed “Tre Bicchieri” (3 glass) award. With 402 winning wines this year, 32 of them hitting the big-time with 3+ rating, you could spend a year cruising through the list and sampling some of Italy’s finest wines. Over the next few weeks I’ll highlight a few of my personal favorites for 2011 and how to find them. 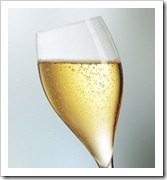 Of all the Tre Bicchieri winners, which are the must-taste red, white and bubbly wines for 2011? Gambero Rosso goes out on a limb and identifies, in their minds, the pinnacle wines in their respective categories. As of this writing (December 2010), none of the three wines I’m reviewing have hit the store shelves here in the States, but their importers are busy coordinating shipments and I promise they’ll arrive in the coming months. You can pre-order some of these online; others you’ll need to hunt down. If you need help, talk to one of the owners of the better Italian wine shops here in the States, they can usually get it for you as soon as it’s available and ship directly to you. The folks at K&L Wine Merchants in San Francisco, Pastaworks in Portland, and Italian Wine Merchants in New York will take good care of you. I was stunned when I heard that Gambero Rosso’s top billing for the Best Italian White of 2011 went to a wine made from the non-descript Sylvaner grape varietal. Sylvaner? Really? We’re talking about a grape with a sordid past, most popular in Germany as a bland blending grape and found in the hangover-inducing wine Liebfraumilch. Setting aside my biases, what Günther Kershbaumer of Köfererhof has accomplished with Sylvaner is nothing short of astonishing. Using 100% Sylvaner grapes from old vines as a blank canvas, his Valle Isarco Sylvaner R (the “R” stands for Riserva) has remarkably intense apricot, peach, kiwi and flowers on the nose and palate, a distinctive mineral finish characteristic of the Valle Isarco where the grapes are grown, and a pleasing acidity – all in elegant balance. If you like whites with generous fruit, you’ll adore this wine. Finding and buying. 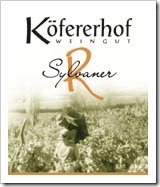 First the good news – Köfererhof’s Sylvaner R won’t set you back much, running about $25-35/bottle in the store. 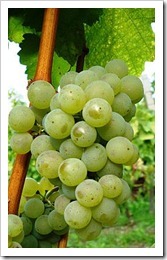 Now the not-so-good news – you’ll have to patiently wait for this superb white to show up here in the States. When it does show up, you’ll want to buy quickly as this small production estate probably won’t export much of the Sylvaner R 2009 to the States, given the top billing and attention this wine has received. With only 160 cases made, I doubt there will be much left by the end of 2011. You can check for online availability here, or contact one of the three wine shops I mention in the intro section above. While you’re waiting. You can still buy Köfererhof’s Sylvaner 2008 (the normale version) online here. This older sibling to the Sylvaner R 2009 is delicious, loaded with stone fruits, mint and flowers, and a has a nice mineral finish. It’s easy on your wallet, too, running about $16-22 right now in stores (Gary Vaynerchuk’s winelibrary.com has it for 17 bucks). Stocks are probably getting low as of this writing, so order now and drink through 2012. Visiting Köfererhof. You can visit Günther Kershbaumer’s tiny (5 hectare) Köfererhof estate outside of Bolzano in Alto Adige if you’d like to taste his Sylvaner, Riesling, and other small production wines. As this is a small operation, be sure to email or call Günther in advance to setup a time to visit (tele: +39.347.477.8009). While you’re in the area, check out the beautiful and nearby Novacella Abbey nestled amongst the vineyards – you’ll be singing the praises of Sylvaner wines before you know it. Who says the Italian’s can’t outdo the French in sparkling wines? (I can hear Robert Parker grumbling as I type.) Under the care of Giovanni Biatta, Le Marchesine’s Gran Spumante rivals some of the best Champagne I’ve tasted. We’re not talking about Prosecco here. Made from hand selected Chardonnay grapes and produced in the metodo classico (classic method, similar to the Champenoise style) required of all Franciacorta sparkling wines, this dry sparkler will knock your socks off. The aroma is highly perfumed and aromatic, with a complex nose of white peach, dried apricot, flowers and spices. On the palate it is divine, with plenty of length and fine balance. The spuma is lovely, with very fine bubbles that persist nicely. If you’re a fan of France’s best sparkling wines, you’ll enjoy this lovely Franciacorta. Finding and buying. As of this writing, you’ll have to a wait a few months for Le Marchesine’s Brut Secolo Novo 2005 to show up in the stores, but it’s worth the wait. Given pricing in Europe, this should come in around $50-65 a bottle in the US. In spite of Le Marchesine making over 30,000 cases of Franciacorta every year, this wine doesn’t see broad distribution here in the States. I recommend you check for online availability here, or contact one of the specialty wine shops I mention in the intro section above. This may be tough to find, but worth the hunt. While you’re waiting. Le Marchesine makes a lovely non-vintage Franciacorta that will please your palate while you’re patiently waiting for Secolo Novo 2005. Their Franciacorta Brut NV runs around 25 bucks. Liberty Harbor Wine Merchants has it available online as of this writing. Winechateau.com also stocks Le Marchesine’s Millesimato Franciacorta 2003, and as of this writing you can find it on their website for a steal of a price: $28/bottle. Visiting Le Marchesine. Though small by some standards, Le Marchesine has quite an interesting operation. You can visit them, with a reservation in advance, at their Passirano location (near Brescia, due east of Milano about an hour). Contact them by filling in their online request form (best way), or call them at +39.030.657.005. Simply put, this is one classy wine. However, I have to warn you – plan to part with some serious cash to taste Franco Biondi Santi’s latest masterpiece. This aristocratic producer put Brunello on the map, with a remarkable history dating back to 1865 when Clemente Santi produced their first award-winning red (Brunello) on the Greppo family farm. Franco follows traditional vinification and aging in large, neutral casks, yet his style is powerfully distinctive. His 2004 Riserva has a luscious, fruit-driven character with ripe red cherries and raspberry, floral hints of violets, and a earthy mineral note characteristic of Montalcino wines. While a Biondi Santi Riserva can rest for at least 10 years before approaching anything close to its full potential, you can (and should) open one in 2011 to savor this phenomenal wine. Given its youth, I recommend you decant the wine and let it sit for an hour or two before drinking. Finding and buying. You’re going to wince at the price: pre-arrival it’s running around $350/bottle, but should settle down a bit later in the year. I don’t usually recommend wines in this price range, but this is a wine you’ll reminisce about for years after you drink it. The fine folks at The Rare Wine Company have it for $345/bottle pre-arrival as of this writing. By mid-2011 you should be able to find this Riserva at specialty wine shops throughout the US. While you’re waiting. Keep your taste buds busy with Biondi Santi Brunello Annata 2003, their excellent normale Brunello released in 2008. You can find it in stores today for about $140/bottle. Visiting Biondi Santi. With these prices, you might even consider a trip to the Biondi Santi tasting room just outside of Montalcino and buy direct. I know it sounds crazy, but with availability today, prices more than $100 cheaper per bottle in Italy, and knowing the wine has been well cared for, the money you save on a case may just pay for your entire trip. For the inside scoop on bringing wine back into the States with no shipping cost, check out one of my earlier posts. Want Your Own Copy of Vini d’Italia 2011? For enthusiasts of Italian wines, you’ll want your very own copy of Vini d’Italia 2011. Yes, it’s entirely in the Italian language, but the simple 1/2/3 glass rating system, easy index for finding producers and wines, and master summary of all Tre Bicchieri wines make it simple to find new and exciting Italian wines to experience in 2011. You can order it online on the Gambero Rosso website here, or if you’d like to order a copy through me, fill out this request form. Prefer an English version? Gambero Rosso publishes an English language version of Vini d’Italia called “Italian Wines,” but it takes a while for them to get the books printed and into the States. Right now they’re scheduled to arrive and ship via Amazon.com on June 30, 2011. Last year’s 2010 Edition is still available here. While speaking Italian helps, I prefer the latest Italian edition simply because it’s available 6-9 months before the English edition arrives. If you like your wine information fresh and can’t wait, order a copy through me. Do you have questions on where to buy these wines? Do you have other favorites on your 2011 wish list? Submit your questions/comments below and we’ll respond directly to you. I recently stumbled upon your website while researching my upcoming trip to Tuscany. I am very impressed with your website, and your recommendations to “Bob M” for his 10 day trip to Tuscany. 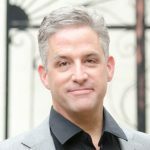 I found your response very detailed and informative and hopefully I can use some of the same recommendations myself. I plan to spend a few days visiting several wineries in the both Chianti area and Montalcino / Montepulciano. 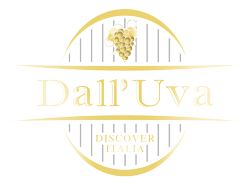 One thing that has always puzzled me is how to figure out the general price range of a winery, as Italian websites usually do not post prices. I plan to buy a good amount of wine, but I would be quite chagrined to set up a visit with a cantina, only to buy a couple bottles due to a price outside my range. Do you have any recommendations on how to get this information before hand so I can better plan my visits? Incidentally, what is a reasonable price per bottle of “value” brunello from a producer? Hi Chris — thanks for the kind words, and I’m always happy to help out. 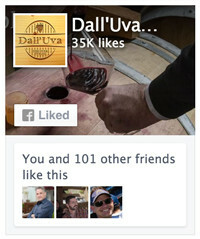 Sounds like you will have some fun exploring wineries out in Tuscany soon. You have a great question.